Some nice looking wargaming tables indeed. Wyrd Miniatures was showing off some amazing Halifax terrain setups. I spent longer than I'd like to say scouring the Wyrd website looking for news about their new Atlantic Canada line before I realised that it was probably spell-check messing with Malifaux. Also, I think the description for pg. 13 is missing. On a side note, I've never seen Eldar fighting a battle against Eldar like pg. 7. Anyone know what that's like? Still, I imagine with those foot troops around that it would have been a quick, punchy affair where each side tried to get the first shot off then run away to set up for the next. 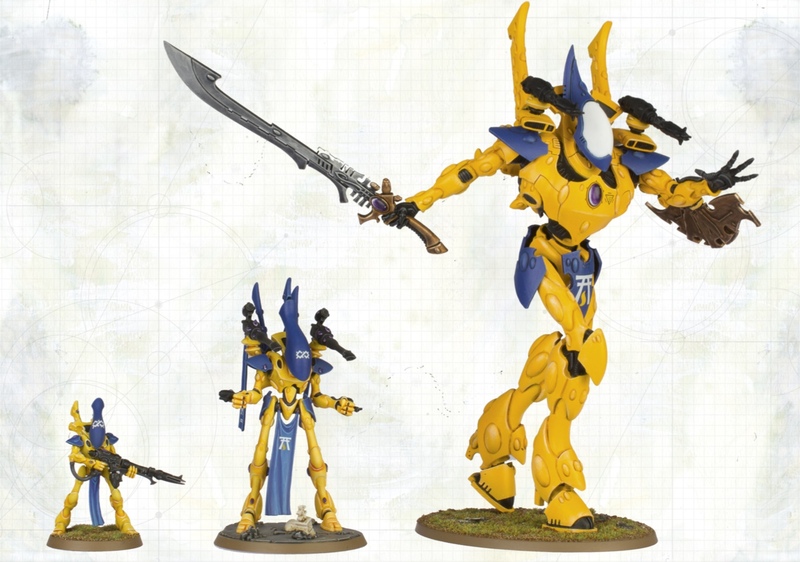 The 40K fanboy in me can't help but mention that those aren't Eldar Titans, but Wraith Knights, a far more common sight these days than you might think, looking at their size. Aww man, I totally forgot that "Titans" is an official thing in 40k. I meant titans like, you know, big powerful dudes. MY MISTAKE STANDS. Not any more, they're Gargantuan Creature as of the most recent dex.